Fundamental vs Technical Analysis: Which Works Best? Home / How To Invest / Fundamental vs Technical Analysis: Which Works Best? And this can be a very valid question especially if you just started out investing. Both schools of thought have their merits and critics at the same time, so which one works best? Honestly, I am pretty much a ‘fundamentals’ guy. As much as I know of investors who do extremely well with technical analysis, I personally don’t use any of it. Call me a tough nut to crack! You can also call me a ‘meat-and-potatoes’ kind of guy; I like sticking to the basics. I favor undervalued companies with strong fundamentals and great growth prospects, led by a management team I can trust. I enjoy studying how business owners build their companies and their economic moats, navigate an ever-changing business landscape, and employ various business strategies to emerge victorious (and profitable!). I believe that the fundamentals of a company drive the price of its stock in the long run. Having said that, I also believe that my style of investing – value-growth – is not the only way to become a successful investor. There are many roads you can take to reach the promised land: income investing, value investing, growth investing, technical analysis, etc. A couple of investors whom I personally know invest in a style similar to mine — but with the addition of technical analysis. They still prefer to invest in a fundamentally sound company but use technical analysis to decide their entry and exit points. Newton was specifically pointing out that short-term prices are affected by human emotion and sentiment (i.e. the madness of the people). When news is good, the market is optimistic and prices rise higher and higher, and the same is true vice versa. These short-term swings between optimism and pessimism offer technical analysts an opportunity to take advantage of this volatility. In that instance, then technical analysis has its use. If I could, I’d like summarize this with an analogy. “Playing” in the stock market is similar to playing a sport. With investing, the goal is financial freedom, and with sport, the goal is health and enjoyment. Many types of sports, however different, can all help you achieve that same goal. For example, golf is a leisurely sport known for its patience. A round of 18 holes can easily take four hours or more at the golf course. In golf, every single swing counts; a 200-yard drive is as important as a 10-foot putt. One bad shot into the bunker can mess up all your good work beforehand. You need a hell lot of patience. On the other hand, basketball is a relatively shorter and faster game. It moves quickly from end to end and scoring is abundant. Even if you make a mistake, you can catch up on court (or your teammate has to cover you while giving you a good rollicking!). Both also come with its own set of risks. Basketballers might suffer more knee and ankle injuries, while golfers have more shoulder and back injuries and, once in a blue moon, even get struck by lightning. Just like with different styles of investing, it’s important to know how to manage each set of risks properly. In essence, golf and basketball are very different sports, but it doesn’t mean playing one means you can’t play the other. You are free to play both if you enjoy both the swing of a golf club or sinking a three-pointer from downtown. Just don’t mix the rules of one game with the other! To sum up, the golden rule is to always understand what you are doing and use an approach that makes most sense to you. Whether it’s fundamental or technical analysis (or both), the more you learn and understand a technique better, the higher your probability of winning – just like sport. 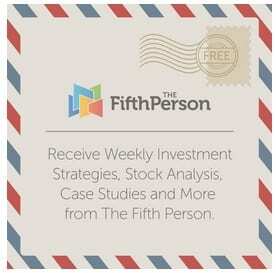 Hi Rusmin, I am still learning investing and thank you for teaching through these articles. I have a question after reading this article. E.g. for a good counter, do you mean that even the Technical Analysis reflect that the share price will be falling for a period of time, you will keep buying it? I know that it is hard to time the market but I believe that you can get a better share price if you use some element of TA? It is weird to me that I am buying something right now when I know that it will be falling some more. Correct me if I am wrong because I am still learning. Hi Chrissie, you’re most welcome! Every investor knows the “golden rule” to make money in the stock market: buy low, sell high. So the logic goes — if a stock is going up, buy it. But if a stock is going down, wait until it has hit bottom before you buy. It sounds so simple, but the catch is no strategy can you tell you exactly when a stock has hit rock bottom and is on its way up next. You only work with estimations and probabilities. For example, say I’m planning to invest $10,000 in a stock. I would invest $3,000 first when I think the stock is already undervalued. If the stock price falls by 20%, I would invest another $3,000. And it drops by another 40%, I would invest the last $4,000. As you can see, I don’t mind if the stock price falls, I simply have the opportunity to buy a great stock at even cheaper prices. This technique is called ‘averaging down’. Of course, you should always re-examine the fundamentals of the stock before you average down. Also, I definitely wouldn’t recommend buying one stock for your entire portfolio simply because that stock keeps on plunging; don’t put all your eggs in one basket. Thank you for your response. I really learn many things from you. Thank you. Happy New Year!